"It is just the beginning for the Bytemine token and what it represents, but the enthusiasm and interest we've seen from the potential exchanges we're talking with is very exciting and only strengthens our belief in the bright future of the Bytemine token and eco system we are building." It's going to be a lot of fun to be a part of this journey. 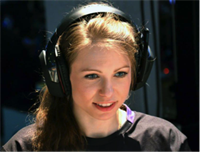 I think that Trig’s efforts can benefit the eSports scene in many ways and I look forward to follow the development. “ It is great to have both the beautiful Paloma Lopéz and her husband, the talented football player, Borja Fernandez onboard as Trig Money Ambassadors. We look forward to working with Paloma Lopéz and welcome her onboard as Ambassador. Phillip Cook, Trig Social Media AB (Publ). We look forward to working with Borja Fernandez and welcome him onboard as a Trig Money Ambassador. Borja’s signing for the Indian Super League team is also positive for us as it enables us to enhance our association with that region, and extend the brand Trig Money to the Indian subcontinent, explains Phillip Cook, Trig Social Media AB (Publ). 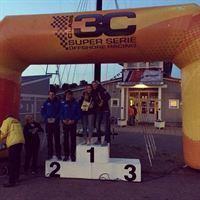 Congratulation Veronica and Kristina for winning Nynäshamn Offshore Power boat race! As sponsors we are overwhelmed and proud. Well done! “Our commitment to our Trig users is to engage them in all aspects of their life. To enhance the association with users and our brand, Trig has commenced exciting sponsorship deals within sports and entertainment, that hopefully will be of interest to our users. 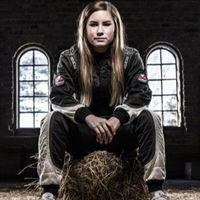 Sponsring this race is just a start of an exciting collaboration with Xlander Racing and their team.”, says Phillip Cook, Trig Social Media AB (Publ). -“Trig’s, (Trig Social Media AB), innovative social media engagement products and in particular their primary revenue generating product: Trig Money, brings to a developing global company a significant point of difference to the competitors in this field. We believe that Trig will be a multibillion euro valued company, if not, a tens of billions euro valued company. 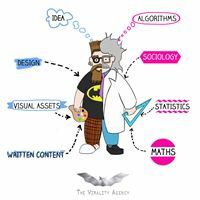 We are excited to work with the Trig team”, comments Mr Alvaro de Mendoza, Founder The Virality Agency. Mr Alvaro de Mendoza, Founder The Virality Agency. 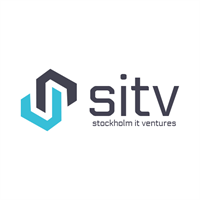 STOCKHOLM IT VENTURES ANNOUNCES TOKENIZATION DEAL AND €200 MILLION CAPITAL INCREASE WITH NETOIL, INC.
Stockholm, 18 August 2015: Trig Social Media held an Extraordinary General meeting to elect its new Director Mr. Alberto Cuellar who will take Mr. Tony Norman’s previous seat on the board. Mr. Cuellar has a Business and Administration background and international working experience. He is currently part of the Trig Spain team in Madrid. Trig is pleased to welcome Mr. Cuellar on board and thanks Mr. Norman for his service.